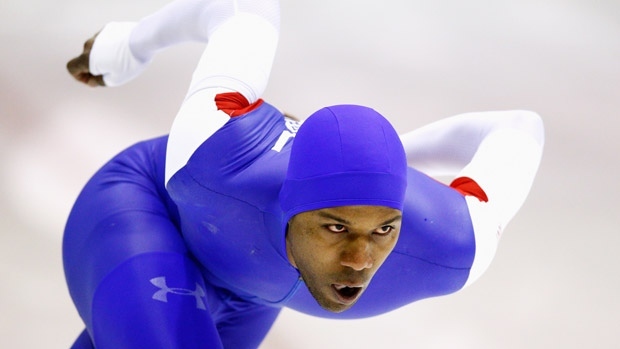 Shani Davis is as fast as ever. The two-time Olympic Champion and ten-time World Champion opened the new racing season the same way he finished the last one: standing atop the 1000m podium. Clocking 1:07.63 to win the US World Cup Qualifying event, which also serves as the unofficial U.S. Single Distance Championships, Shani posted his fastest-ever season-opening 1000m and matched the best time in the world on the young season. Most encouraging for Davis was his top-end speed. Usually the last element to come together during the course of a year, Shani opened in 16.8, faster than any of his opening 200m splits last season. After tacking on 24.8/26.0, the all-time world leader in 1000m victories looks poised at age 33 to continue contending for international titles. “That was fun,” said Davis after his latest triumph. In a remarkable stretch of dominance, Davis has won every 1000m race he has entered at a U.S. championship or U.S. qualifying event dating back to 2009. The 2015 World 1000m Champion will have a chance to chase his own 1000m World Record (1:06.42) at the Olympic Oval here in Salt Lake City on Nov. 21-22 when the ISU World Cup circuit comes to town following the season-opening event in Calgary Nov. 11-14.